TOKYO (Bloomberg) -- Ford Motor Co. will cut its stake in Mazda Motor Corp. to 3.5 percent to become the Japanese automaker’s fourth-largest stakeholder, scaling back an alliance of more than 30 years to focus on developing its own-brand cars. Ford will reduce the holding from 11 percent by selling shares to Mazda partners via off-auction trading, the Hiroshima-based company said today. The transaction, valued at 31 billion yen ($372 million) based on Mazda’s closing share price today, will be completed by Nov. 19, Dearborn-based Ford said in a separate statement. While Ford retains production tie-ups in Thailand and the United States with the Japanese company, it intends to end developing vehicles jointly with Mazda as it focuses on its namesake brand under CEO Alan Mulally. The two automakers will continue to work together on ventures, projects and exchanges of technology information, Takashi Yamanouchi, Mazda’s CEO, said in the statement. “Mazda will keep a certain level of alliance with Ford, but gains more management freedom,” Satoru Takada, a Tokyo-based analyst at TIW Inc. said before the announcement. 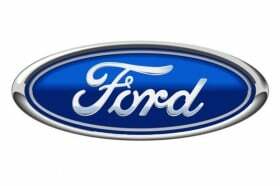 Ford, the only major U.S. automaker to avoid bankruptcy, formed an automatic-transmission joint venture with Mazda in 1969 and acquired a 25 percent stake in the Japanese automaker in 1979. The U.S. carmaker took effective control of the Japanese company in 1996, raising its stake to 33.4 percent. Ford cut its stake to 13 percent in November 2008 to raise funds amid the global financial crisis, and a share issue by Mazda last year further reduced that holding to 11 percent. “We aren’t considering a capital tie-up at all with any other carmaker and do not intend to consider any,” Yamanouchi said at a briefing in Tokyo today. Still, the company is open to supplying its technology to other automakers, he said. Several of Ford’s current models were developed with Mazda. The new Fiesta small car is based on the mechanical foundation of the Mazda2 subcompact, Ford’s Fusion family sedan is based on the Mazda6 platform and its new Ranger pickup truck is built alongside its mechanical twin, the Mazda BT-50, at the factory in Thailand that the automakers jointly own. The second-largest U.S. automaker signaled in December that it intends to end developing cars and trucks jointly with Mazda. Mazda is still awaiting approval from authorities in China on its proposal to restructure its venture in the nation, Yamanouchi said. Mazda, Ford and Chongqing Changan Automobile Co. submitted a proposal to restructure their partnership in China, the Japanese carmaker said in May.